1947 was a year of contrasts, and of beginnings. We had BUPA founded; the first tubeless car tyre; first transistor produced; a record football transfer fee of £15,000; Llangollen International Eisteddfod began; harsh winter; hot summer, and I was born. 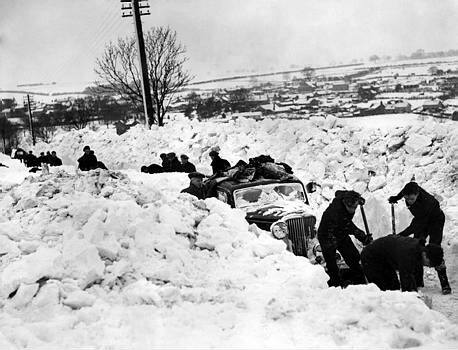 According to Met Office records, from the 22nd January to the 17th March 1947, snow fell every day, somewhere in the UK. In my County of Denbighshire, snow fell to a depth of about 5 feet, with drifts in exposed places reaching over 15 feet. There was inevitable chaos for a number of weeks. Men couldn't get to work in the area, and the mines had to close, with the looming threat of coal shortages. There was still rationing after the war, and the snow caused additional food shortages. Hill farmers faced the threat of losing their flock of sheep due to the depth of snow on the mountains. And this is where I love stories of communities coming together in the face of adversity. Many miners and others who could not get to work because of the closures, went out on the mountains to help farmers find and recover their sheep. It seemed a daunting task, but experience had told farmers to look for dark brown patches in the snow. Sheep would lift their nostrils as high as possible to sniff the air, and the brown patches would indicate that sheep were near the surface of the snow. Many sheep died, but many were saved because of this collective community action. You can't get to Penycae without either walking over the mountains, or going up steep hills, so the village was cut off for a considerable time. I was born in September 1947, which means that unless I came about as the result of an immaculate conception, I was conceived around January 1947. This set me thinking; was I conceived because there was nothing else to do in a snow bound village? Oh, do tell me that there was more to my conception than that. Unfortunately, we'll now never know. In March the snow began to melt, but because of the hardness of the ground, there was nowhere for the water to go, so inevitable widespread flooding occurred. Of interest to Nottingham readers is the fact that on the 18th March 1947, the banks of the River Trent burst, and hundreds of homes were flooded, many to first floor level. After coping with deep snow in the early period of carrying me, my Mother had to endure the latter stages of pregnancy in a heatwave. The Summer of 1947 is the 6th warmest since records began in 1659. (You're dying to know the other five, aren't you? Well, 1826, 1846, 1976, 1983 and 1995). September 1947 was the 20th warmest month since 1659. I can imagine that after the snow of Winter, and the heat of Summer, my Mother would be relieved to see me pop out into the world. Another significant event in 1947 was the first Llangollen International Eisteddfod, held in the magically beautiful town of Llangollen in the Dee Valley, just a short hop over the mountains from Penycae. The picture shows the centre of the town with its white water rapids at high level, and you follow the road to the right of the river, which takes you past the Eisteddfod ground, and on up to the ruins of Valle Crucis Abbey and the Horseshoe Pass. The Eisteddfod Executive Director says, "One of the joys of Llangollen is that it brings together in friendly competition some of the finest musical talent the world has to offer". For one week in July each year, between 2000 and 5000 musicians, singers and dancers compete in over 20 high quality competitions during the day. Every evening, the best and most colourful competitors share the stage in renowned concerts given by professional artists, many of whom started their careers in Llangollen. It amazingly did not take many years to get established. Argentina and China participated in 1948; USA and Germany in 1949 (remember this was just four years after the end of the 2nd World War, but they were welcomed to the Eisteddfod with open arms); Brazil, Sri Lanka and Turkey in 1950; India and Indonesia in 1951. By 1953 - just six years after it started, 50 countries had competed in Llangollen. 2011 marks the 65th anniversary of this truly international festival. If you don't know the Llangollen International Eisteddfod, don't ever think of it as some mickey mouse event, held in the back waters of Wales. There is a seemingly endless list of now household names who have performed on the famous stage. 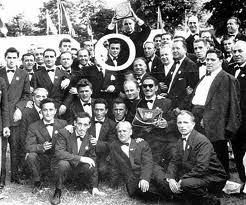 Placido Domingo acknowledges that his first professional experience in the United Kingdom was at the 1968 International Eisteddfod, and in 1955 Luciano Pavarotti (see picture), at the age of 17 competed with his father in the male voice choir competition with others from their home town of Modena. They won, and Pavarotti returned for a spectacular concert in 1995. 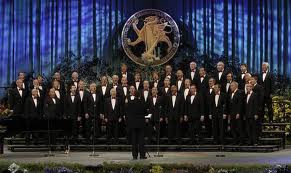 Other stars who have appeared in the Gala Concerts are, Kiri Te Kanawa, Jose Carreras, Lesley Garrett, Bryn Tyrfel, Katherine Jenkins, Dennis O'Neil, James Galway, Nigel Kennedy, Elaine Page, Michael Ball and Montserrat Caballe. A truly glittering array of musical stars. For this years Eisteddfod, 103 choirs and dance groups have been selected to participate from 35 different nations around the world. 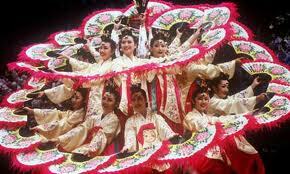 If you can get there, go and enjoy the spectacle of dance and song. With so many people coming for a week to compete, where are they all to stay? 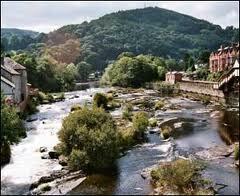 The answer has always been in finding host families in the towns and villages around Llangollen. Penycae was one of those villages for many years, though for some reason, we were never a host family ourselves. Each nationality was allocated to a village, and as children, we waited with great excitement and anticipation which nationality of choir or dance group was allocated to the village. Whichever group it was, at the end of their stay they would put on a concert for the village as a way of saying thank you. Weather permitting, the concert would be held on the green in the estate opposite my house in Cristionydd, called Groesfan. There would also be some gifts for the children, and I remember the Americans being my favourite, as they gave out loads of sweets and chocolates (like in the war with nylons, cigarettes and chocolates). Children can be so selfish can't they? I don't think that I can have changed that much, as I can still be easily bought with coffee, ice cream and chocolate. "Another memorable year in the Eisteddfod calendar was when the Zulus, from Durban in South Africa arrived. My aunt hosted two young female competitors. My cousin recalls calling at the parish hall in their car to collect them. On reaching home it became obvious that the two young ladies were not at ease, with the situation becoming even more tense when they were asked if they would like something to eat. Finally, when they were shown to their room, they broke down and confessed that they had never been treated so courteously, especially to be waiting on. The final straw came when they realised that they would be sleeping in the same house as a white person. It turned out that this was not an isolated case in the village, as other Zulu members asked shopkeepers if they could enter the premises to be served". Remember, this was 1977, and at the time, apartheid was the official government policy of racial segregation in South Africa. 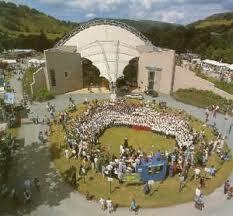 Llangollen International Eisteddfod was there to embrace the world. Colour, creed and nationality were of no importance, the only thing that mattered was talent, and the world was brought together in healthy competition. For one week in July every year, Penycae embraced that vision, and while I can't speak for anyone else from the village, that vision has remained with me until this day. Sorry, but couldn't resist ending with a shot of a Male Voice Choir.